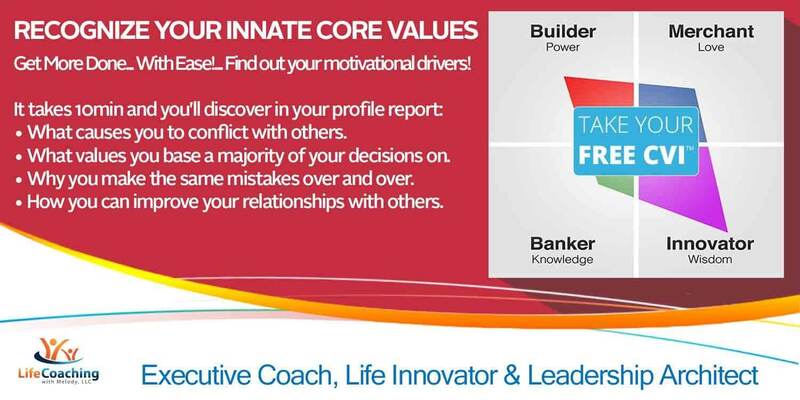 Take Your FREE Core Values Index™ Assessment! Posted May 1st, 2016 by Melody Taylor-Fliege & filed under Leadership. Recognize Your Innate Core Values! Get More Done… With Ease!… Find out your motivational drivers! TAKE YOUR FREE CORE VALUES INDEX™ (CVI) ASSESSMENT!